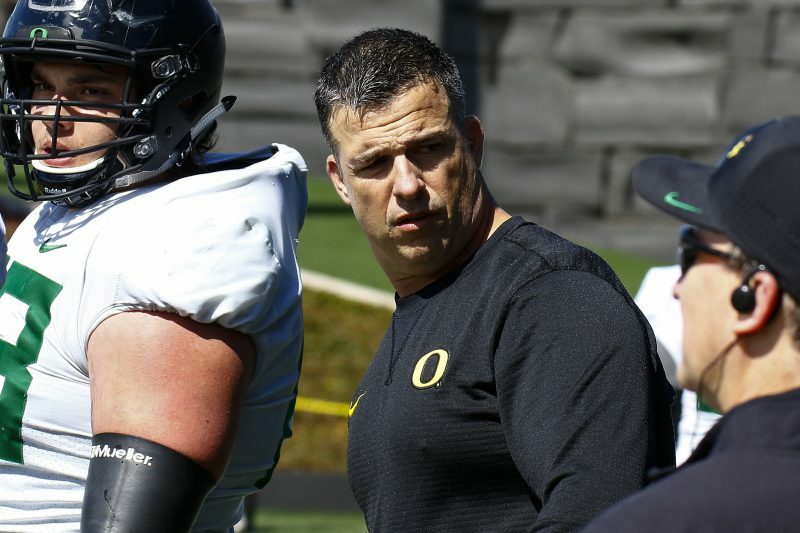 I am delighted with the hire of Mario Cristobal as head coach at Oregon, and have been since his introductory press conference where he impressed the audience with his presence and his answers to me afterward concerning the Oregon offense. Any questions we had about his ability to recruit has been set aside considering how he achieved one of the best classes in Oregon history in a short time. The concern I had was whether he favored running the quarterback between the tackles as WT did, and Coach Cristobal brushed aside those concerns with an emphatic “no” in my short conversation with him at his first press conference. In another article we will discuss what “running the quarterback” really means, as it will still happen, but not in the method implemented by the prior head coach. 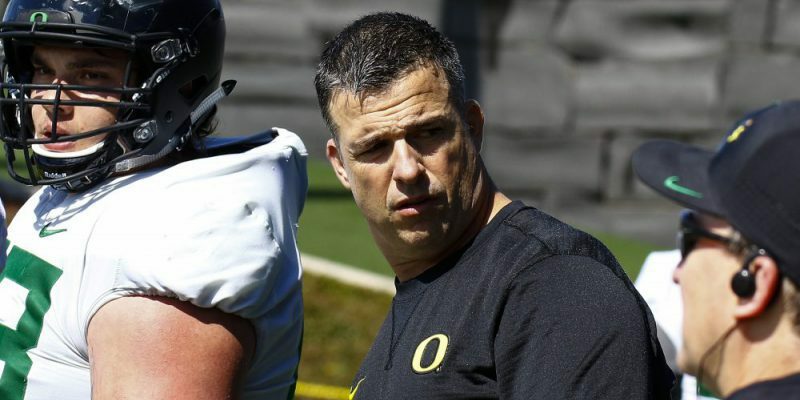 We don’t know what the Cristobal offense is for certain, and I have cautious optimism about it from what I saw of his influence in the season, and additional indications given as to the direction of the Oregon offense. Something that we all know is–the offense is our brand; the scoring, and No-Huddle are what made us a popular team to watch, and the concern is that he will turn it into a tougher, slugging, lower scoring team that focuses on defense and a running game and wins by an NFL-type of 24-16 game scores. Tony Brooks-James had a field day running outside against Utah. The week of the Utah game was crucial for Oregon and for an indication of what was to come, as Mario explained that he nearly slept in the office trying to come up with a new way to attack the Utes that could work with freshman Braxton Burmeister. What I believe he was doing, was studying tape of the Oregon offense under Kelly/Helfrich and was bringing those plays into the WT playbook. The results were an incredible running game as the Sweep Reads, and Outside Zone Read plays were seen once again. With the balance of running well outside (which was suited to the offensive linemen recruited to Oregon) and the power game inside that WT and Cristobal were establishing–balance in the running attack was achieved and I think Cristobal became a believer. I am not sure he has ever had seen such cutback lanes and how running backs making one man miss in the open field could turn a routine play into an explosion gain. 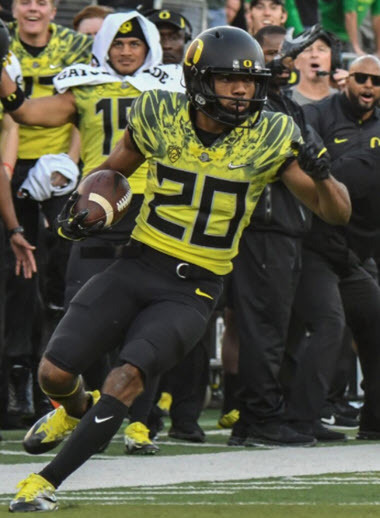 Coach Cristobal also noted the incredible capacity of a skilled passing quarterback when Justin Herbert returned from injury, and hence I believe we will see explosive components added in the passing game as explained by Coach Eric Boles recently for our readers. The best combination possible would be a rugged offensive line creating holes inside and yet attacking the perimeter … but with a balance in the passing game. When he spoke to me–he emphasized balance in the offensive attack between running inside and out, and passing versus running. I want to believe that as it is the best of both the Kelly/Helfrich Offense and the new Cristobal/Arroyo/Mastro offense. We wonder if his Alabama roots won’t make him hunker down to a power offense, but again–I believe he learned what Oregon can be in the latter part of the season. It’s funny how this is a component I had complete confidence in with Coach Brooks and Bellotti, and watched Chip evolve to where I knew he and Mark (when they were together) would have superb adjustments through the game and at halftime. Coach Taggart was the anomaly in staying stubborn to a game plan that clearly was not working. I and many coaches that write for FishDuck.com felt that there were games that could have been won this year with more flexibility in game management and adjustments. With Coach Cristobal–it is a massive question mark. 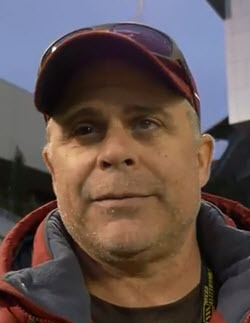 Coach Marcus Arroyo has been a play-caller before and run many offenses, and Coach Mastro can advise on utilizing the Pistol formation even further than what Oregon has done. The benefit to hiring Mario was that he was there, and was a part of the what worked later in the season and the evolution of it. Hopefully the learning curve will be much less as a result of him being on staff this last year. This is not going to be answered until the season gets going and probably not until two-thirds the way through the season. The expertise is present on the staff to be far superior to what WT achieved, but the majority of current coaches were present last year as well and were not utilized. This is going to be a very interesting drama to watch play out, and Coach Cristobal’s experience as a former head coach may influence this aspect of the team more than others. What is his MOTTO or SLOGAN? We all can admit that “Win the Day” by Coach Kelly was superb, and although I was “meh” at first about “Do Something,” … it grew on me and had wide applicability. What will Coach Cristobal’s slogan be? Do you think it is important he have one? I do, as it sets a tone and a philosophy throughout the organization. Again, wide applicability and has an urgency to every day. I am curious as to the thoughts of readers about the other questions of the offense and game management, as this is the time to have fun contemplating these issues.